The stand I had decided on and had comissioned finally arrived. 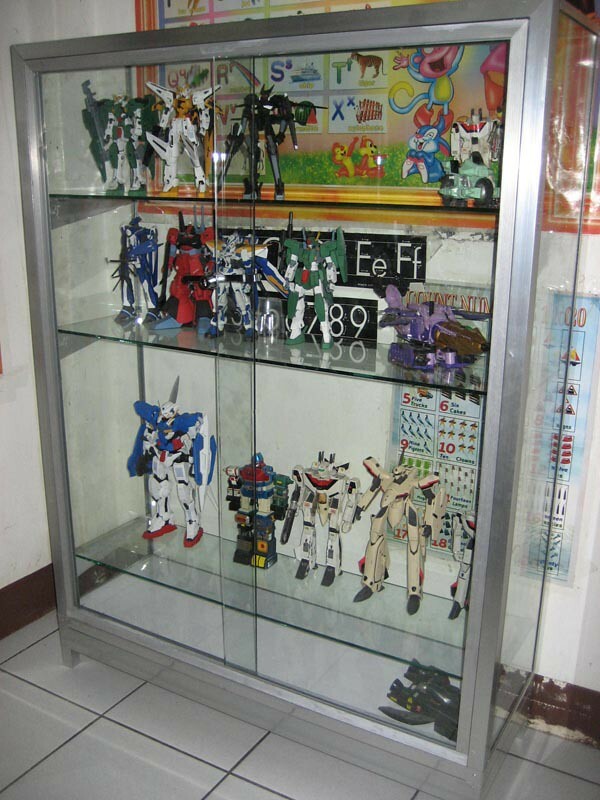 A backgrounder on this post, I finally decided to look for a display case maker to make a case for my modest collection of mecha model kits and toys. The shop I found specializes in glass and aluminum works. 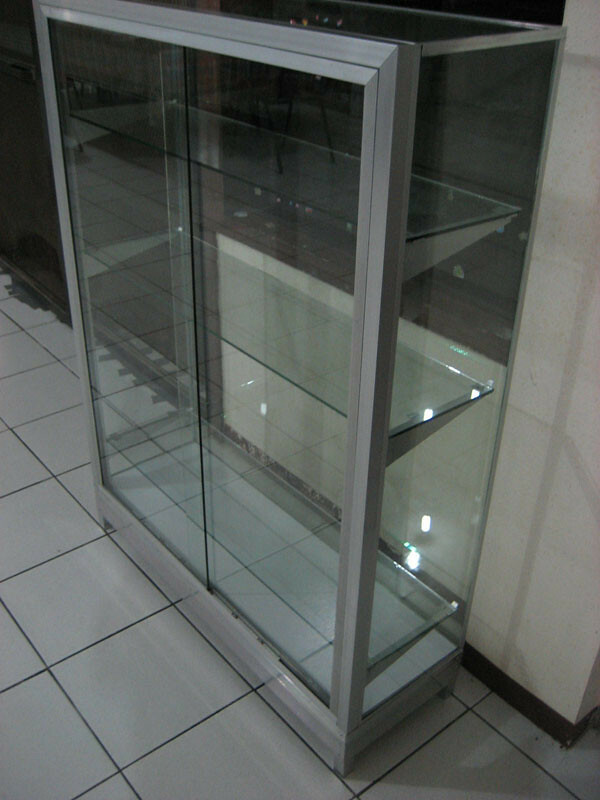 They fabricated windows and display cases for the retail business. Aside from that they also made nifty stuff out of aluminum like screen doors, garbage bins just to name a few. Aside from glass they also work with acrylic sheets. I was thinking of having the case made out of acrylic sheets so that it wouldn't shatter but they recommended against it because they said that clear acrylic scratches easily when cleaned with a rag, plus the price of it is 3x that of glass. I decided on the first fabrication shop that I went to because the price was reasonable. 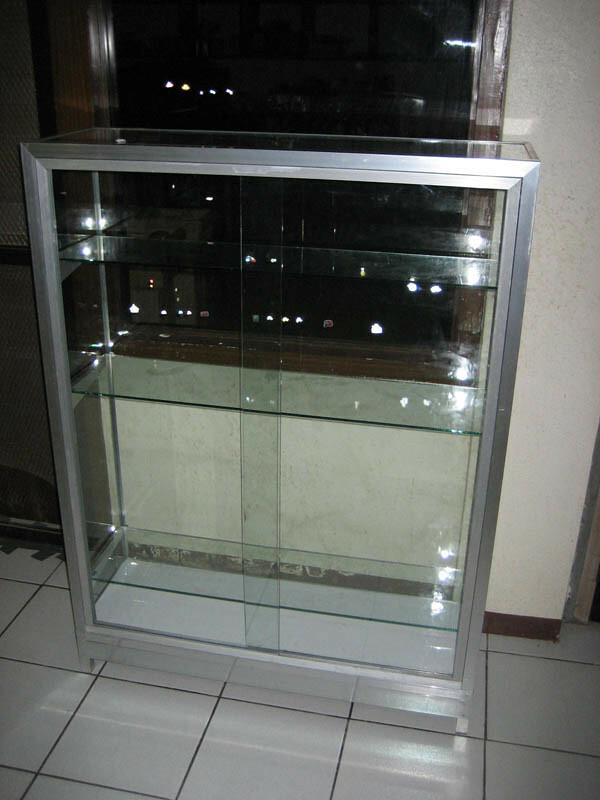 For a 4ft by 3ft display case with 6mm inch glass they charged me $90 with free delivery included. Included are 3 adjustable glass shelves. Options I played around with was whether instead of a sliding door to use a normal glass door with magnetic locks. I chose the former option because it would make it possible to put the case in narrow area where its open door wouldn't impede anybody's movement. Right now there are 3 usable shelves, but if I raise the bottom one I can still make room for another row to bump up the usable display space to 4 shelves. Will do that when the need arises.